Make it today, wear it tonight! 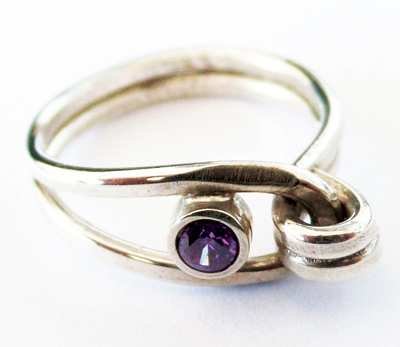 Using a butane torch, sterling silver wire, and a premade bezel, students will create an amazingly beautiful ring that is deceptively simple to construct. Soldering experience is recommended, but not required. Adventurous beginners are welcome.